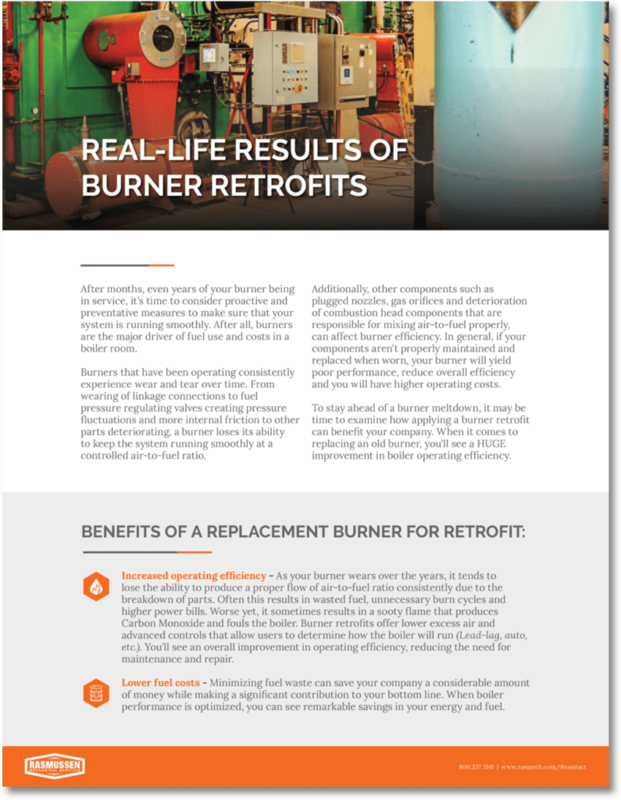 Discover how applying a burner retrofit can benefit your system! Burners that have been operating consistently experience wear and tear over time. From wearing of linkage connections to fuel pressure regulating valves creating pressure fluctuations and more internal friction to other parts deteriorating, a burner loses its ability to keep the system running smoothly at a controlled air-to-fuel ratio. In general, if your components aren’t properly maintained and replaced when worn, your burner will yield poor performance, reduce overall efficiency and you will have higher operating costs. To stay ahead of a burner meltdown, you need to examine how applying a burner retrofit can benefit your system. When it comes to replacing an old burner, you’ll see a HUGE improvement in boiler operating efficiency.